Political contrition is rare enough even in the changed milieu of new politics. Today, the Minister for Health Simon Harris will offer words of remorse and say sorry for not telling TDs a little more last year about the escalating costs at the national children's hospital. Minister Harris will say that, while he could not have revealed the commercially sensitive information he knew at the time, he should nonetheless have given a hint about what was happening. This could have been done if he had mentioned that work was under way to finalise the costs. But the apology is unlikely to quell the piercing criticisms of the minister by the Opposition. Fianna Fáil's Barry Cowen has already pointed out that when the Minister for Health speaks of failing to put his answers in context, there were in fact a massive €391m out of context. 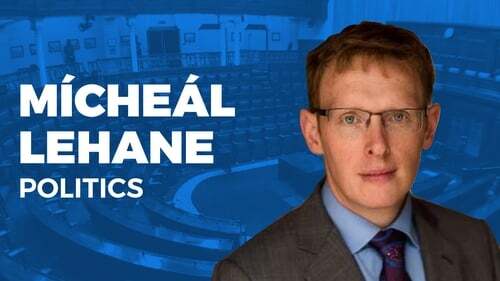 Sinn Féin too will endeavour to get its no confidence motion in Minister Harris tabled this week. Whether it is heard this week or next, there will be a barrage of criticism launched at the minister. But the fact remains that after a harrowing fortnight Simon Harris will retain his job. His colleagues, some of whom were a little unsure of his long-term political health last week, now believe he has weathered the worst of the storm. Just a week ago Government ministers may have been less than effusive in their defence of Simon Harris' handling of the escalating hospital budget. But all that will change now. Minister for Finance Paschal Donohoe's comments typified the renewed sense of loyalty in Government towards its youngest Cabinet Minister when he said: "He discharges an amazingly challenging job to the very highest standards." He is helped too by the fact that Fianna Fáil will not, albeit amid much discomfort, endanger the stability of the Government so close to Brexit. The Government itself will face another hospital related task this morning - that of finding €100m in this year's capital budget to cover the cost overruns. This could require the Department of Transport, Tourism and Sport to find savings in the region of €30m, RTÉ understands. That won't make for a happy Minister for Transport, especially given that Shane Ross and Fine Gael sometimes struggle to achieve a smooth working relationship. Around €50m is going to come from the Department of Health, which is likely to delay for several weeks at least the upgrading of some hospitals. It's believed that six other departments have been asked to find savings in the region €3m each. The Government insists these are spending changes and not cuts. But whatever way you look at it, the job of taking €100m away is something that troubles even the most sanguine of politicians. And some of them, both within and outside Government, believe the bruising events of the last fortnight has shortened the lifespan of this administration.